Last year I was given an opportunity to fly down to whole Java island in Indonesia. 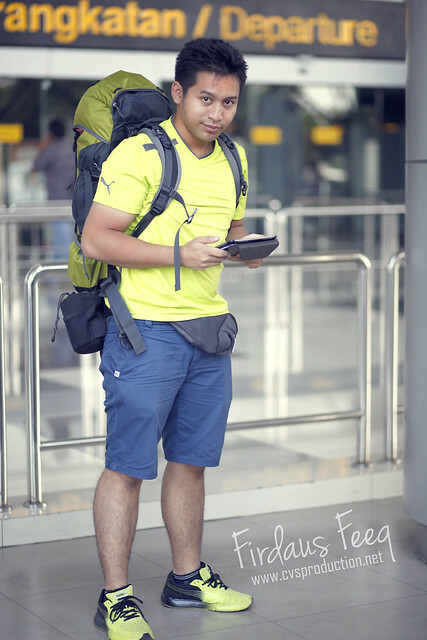 Thanks to PUMA, I had comfortable outfit to backpacking and of course having some photoshooting. You can check out my experience, HERE! Will update my 16 Days Indonesia trip soon. 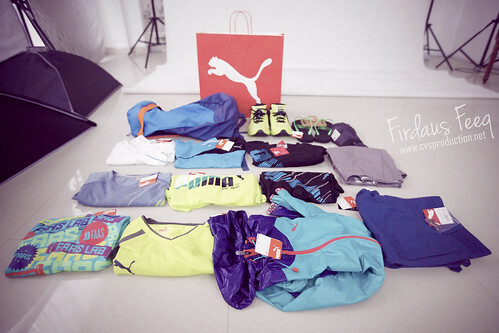 I’m fan of PUMA and guess what? 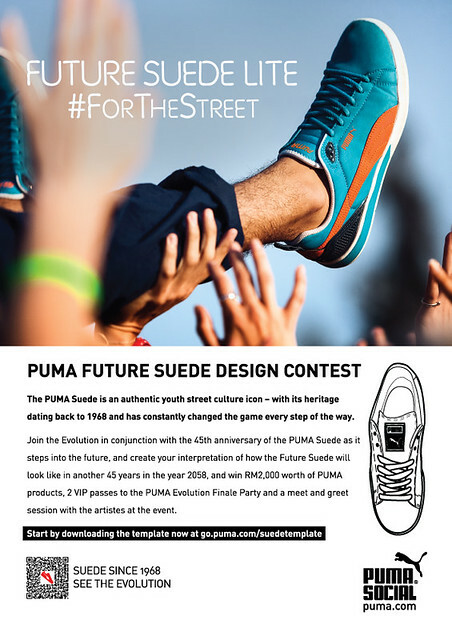 So, I heard that in conjunction to celebrate Puma Suede’s 45th anniversary, there will be two different contests being held throughout the campaign! 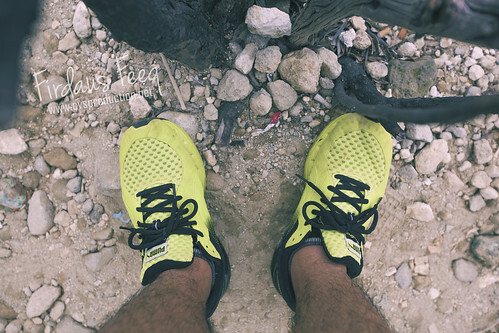 This is my sneakers and I do not have the latest photo of my sneakers. I really need a new pair of shoes! Yup… I need the Evolution of Suede! 1) The 2058 Future Suede Designing Contest: The arrival of the Future Suede calls for an interpretation of the Future Suede in the year 2058. With the Suede template provided at http://go.puma.com/suedetemplate, 30 top designs submitted to PUMA will be selected and exhibited. The designing contest will begin on 18th January 2013, to 1st of March 2013. A winning design will be selected to win the grand prize of PUMA products worth RM2,000, 2 VIP passes for the PUMA Evolution finale event, and meet & greet with artiste at the event. 2) The ‘Evolution of Suede’ Instagram Contest: This calls for the public to post pictures of their personal collection of the Suede, a photo of a favourite street icon, or their design of the 2058 Future Suede. Either way, with the hashtag #ForTheStreet, fans can become part of the timeline with other fans, worldwide. PUMA fans can also take pictures with iconic props available in PUMA outlets. The contest will start on the 25th February 2013. 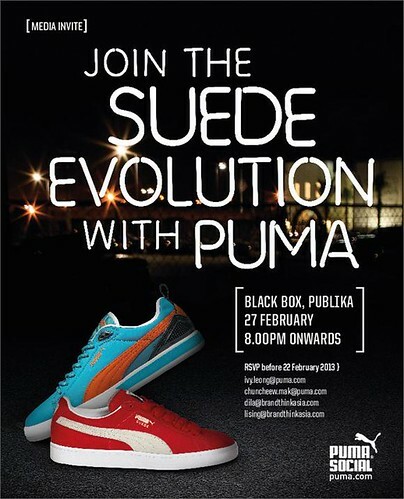 Being the pioneers in the sneakers industry involving suede, Puma has launched a global campaign called the ‘Evolution of Suede’. The campaign revolves around the evolution of the Suede – from its humble beginnings as a pair of running shoes, to basketball shoes, and evolved to becoming what it is now, a fashion statement. 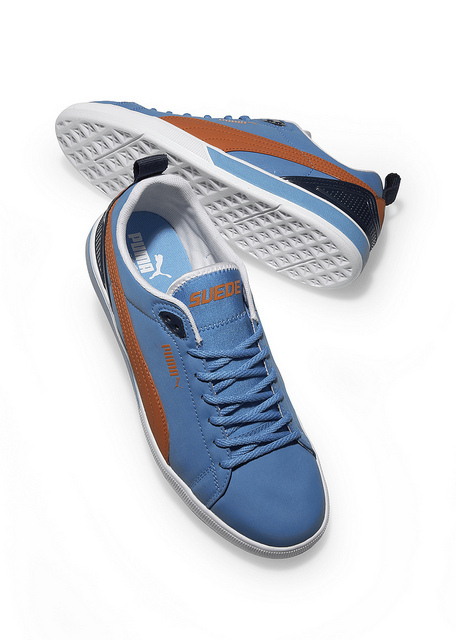 Puma’s latest line – the Future Suede, retains the signature 1968 profile of the Classic Suede but that’s where all the familial looks end. It’s light on weight, light on suede, and has some serious futuristic tweaks: a lightweight bottom, painted midsole, and neoprene tongue. For more on ‘Evolution of the Suede’, visit http://madeforthestreet.com from 18th January 2013 onwards for the first phase of the campaign. Full campaign content will be available from 18th February 2013.